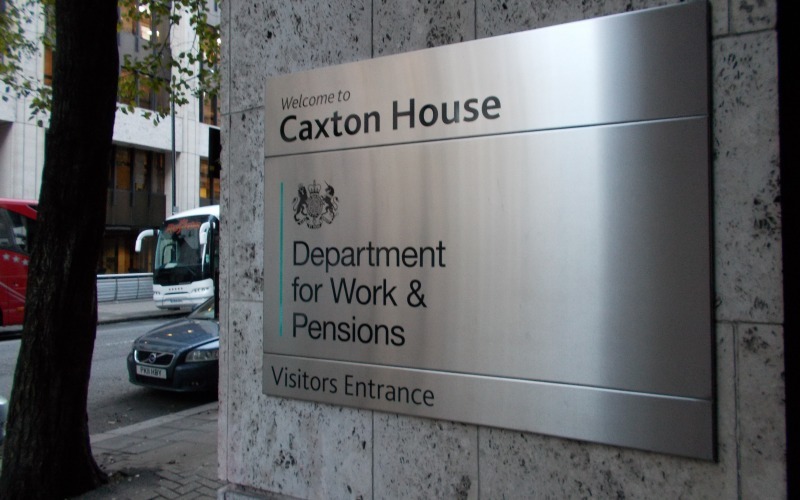 The government has admitted that more than 30 secret reviews carried out following the deaths of benefit claimants called for improvements in how the Department for Work and Pensions (DWP) operates locally and nationally. The “appalling” statistic has added to pressure on DWP to publish the reviews, and is the latest in a series of revelations to emerge through Freedom of Information Act (FoIA) requests, which disabled activists say “should be setting alarm bells ringing at Westminster”. Last night (5 March), a member of the Commons work and pensions select committee demanded that DWP finally confirms what changes it has introduced as a result of the reviews, and reveals how many of those who died had had their benefits sanctioned. Labour MP Debbie Abrahams said: “I have repeatedly asked for information from ministers and been met with a wall of silence. The latest FoIA figures featured in a Dispatches documentary on the government’s benefit sanctions regime, which was broadcast on 2 March on Channel 4. Dispatches revealed that, of 49 secret “peer reviews” carried out since February 2012, 33 contained recommendations for improvements in procedures at either national or local level within DWP. Dispatches also revealed that 40 of the 49 internal reviews had been carried out following the suicide or apparent suicide of a benefit claimant, information that came from a response to an FoIA request from Disability News Service (DNS). Despite a series of FoIA requests from DNS to DWP, the department has refused to publish the reviews, or their summaries, recommendations or conclusions, even with personal details removed. DNS has now appealed to the Information Commissioner’s Office over DWP’s refusal to release this information. The FoIA response said that any national recommendations were “referred to the Customer Journey team for inclusion in their regular reviews”, while local recommendations were “referred to the appropriate office to be taken forward”. DWP ministers and officials have been repeatedly criticised for their attempts to avoid releasing key information about the peer reviews. John McArdle, co-founder of Black Triangle, said: “In an open and democratic society, the public must be able to scrutinise the actions of public authorities in order to hold them to account and if the DWP are refusing to reveal the recommendations from these 33 cases, it will make that an impossibility. He said there was “no reason” why DWP could not anonymise the details of the deceased claimants, as the Mental Welfare Commission for Scotland had done in the case of Ms DE, when it concluded that the assessment of her “fitness for work” and the subsequent denial of the out-of-work disability benefit employment and support allowance (ESA) was at least a “major factor in her decision to take her own life”. Bob Ellard, from Disabled People Against Cuts, said: “The FOI response that ‘recommendations have been referred to the Customer Journey team for inclusion in their regular reviews’ might be appropriate for missing copier paper, but is not acceptable for reviews into avoidable deaths of human beings. “Did anyone at DWP ensure that recommendations got turned into action to prevent more claimant deaths? Were ministers informed? Did ministers take responsibility for the prevention of further claimant deaths? Ellard said there was a need for “full transparency” and yet the DWP was “stalling”, while Labour’s frontbench had been “silent” on the issue. Despite the silence from Labour’s frontbench, Abrahams is pushing ministers to release evidence that the government has been to blame for any of the deaths, or that DWP’s actions had been “inappropriate or incorrect”. She told DNS: “It’s taken an FoI, but it’s good that the government have had to acknowledge publicly that at least 33 people who have died whilst in receipt of social security support have done so in circumstances that merited a change in the way the DWP operates at both local and national levels. “What we need to know now is how they are changing the system to ensure that these appalling statistics don’t rise. We also need to know how many of these people were, or had been, sanctioned. The latest FoIA responses came as a coroner found that a disabled woman killed herself after receiving a letter warning that she could lose her disability benefits. Julia Kelly, from Kingsthorpe, Northampton, who had chronic back pain after two serious car accidents, died in November after previously having to attend three tribunals to overturn decisions to remove her ESA. She had reportedly received a letter from DWP asking her to pay back £4,000 in benefits because she had failed to declare some savings. The coroner, Anne Pember, recording a verdict of suicide, said she believed that the “upset caused by the potential withdrawal of her benefits had been the trigger for her to end her life”. A DWP spokeswoman said: “Our thoughts are with the family of Julia Kelly. “ESA is a means-tested benefit and entitlement depends on the amount an individual has in savings or capital. But she refused to say whether the case would be the subject of a peer review. Rick Burgess, co-founder of New Approach, which is dedicated to scrapping the work capability assessment – which tests eligibility for ESA – said the coroner’s verdict showed that Julia Kelly had killed herself “because of the threats made to her by the DWP”, and that it was “no wonder” the department “uses every means to cover up evidence of its crimes”.